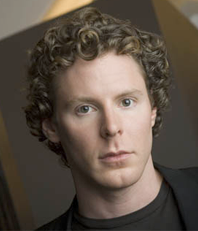 Sean Parker, appearing on a panel at the Daily Beast's Innovators Summit, was part of the Napster revolution focused on bringing the music industry into the Internet age. It failed, and Napster went bankrupt. In his post-Napster life, Parker spent time at Facebook (he is played by Justin Timberlake in "The Social Network" film) and Plaxo. Now he wants to finish what he started with Napster with a new music download company, Spotify. Of course, Steve Jobs has been working on that revolution with iTunes, but Parker's company has a different model than Apple's pay-per-download on its own devices. "You have to accept that the war on piracy is a failure," Parker said. He estimated that 4 to 10 trillion songs have been illegally downloaded versus 4 billion legally. The keys to getting people to use a music service are "convenience," and "accessibility," he explained. Spotify's approach is to allow unlimited streaming of music to a desktop, and to confine that music to the desktop device. "You get addicted to it," Parker said, because you can have a library of music 100 times larger than you might have thought. The money flows when users want to put the music on other devices. "If you want content on the iPod or iPhone, you have to pay for it, become a subscriber," he said. Parker was asked about competing with Apple. "If you want to operate a music service in the U.S. and you can't port music to the iPod--and you believe the thesis of convenience and assessibility--you're screwed," he said. Apple doesn't allow services, such as Rhapsody or Spotify, to port songs to an iPod or iPhone. Parker said that Spotify could launch in the U.S. by the end of the year. The company said it has 10 million users in Europe, and more than half a million paying subscribers. Apple has sold more than 250 million iPods to date.